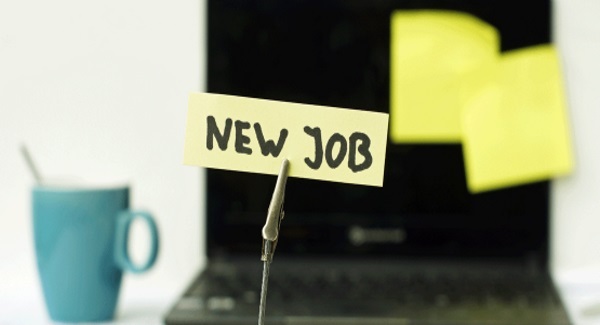 Many of us like a fresh start in a new year and sometimes, depending on how the previous year fared, that can include seeking out a new job. The Christmas rush has lulled and come Spring the sales footfall will have petered out and you will not be weighed down with the extra pressures that come with retail during the party season. Now is the time to start planning your job search if you want to make that big move. Cv- Keep it Simple: As you are fully aware, the first place to start your job search is with your CV. It might be tempting to create a colourful, eye-catching and interesting CV, however to ensure that you are considered as a professional, you need to keep it simple. Plain headings, black text and a legible, business-like font are the main things to consider. Cover Letter- Don’t Generalise: Job seeking is time consuming and it is very difficult to find the time when you are working. It might seem easy to create a general cover letter, likely to cater to all possible job applications. While it is the quick way of doing things, it is not necessarily effective. Every retailer is different and expects different things from their employees. Tailor a cover letter for each company you apply to appealing to their ethics, the job description and the requirements set out in the job ad. Silent Networking: If you are currently working and looking for a new job, you cannot blatantly share this information with anyone that might be able to help. We like the idea of “Silent Networking”. This means you are keeping an eye on social media posts from friends, family and companies for mentions of vacancies, but not expressing an interest by interacting. You can make a note of the retailer mentioned and send them an email later on enquiring about the position mentioned. Be Discreet: The worst thing you could do is leave the newspaper open on the job page at the canteen table. Not only will it make things awkward, you may wind up in a much more desperate situation- actively job seeking while out of work. Apply for jobs on your own time and where possible, arrange job interviews to take place on lunch breaks or on your days off. On that note, if you are not required to wear smart clothing to work, be sure to leave yourself some time. You don’t want to raise any suspicions by showing up in a suit instead of your usual Jeans and a T-shirt. Be Patient: Remember when your mother always told you that patience was a virtue when you were a child? Well, your mother was correct. If you are pushy and inquisitive towards your potential future employers you will leave a bad impression. If you email a CV at 10.30 am, there is no need to call them at 10.45 am to ask if they got your CV. Likewise, it will only cause you personal distress if you become impatient with regard to clinching that job. It can take time and in this day and age retailers are often inundated with applications- so be patient! If you follow these guidelines you will see how much easier and less stressful a job search while employed can be. Retail is a fantastic industry with a myriad of opportunities and now it is your turn to find yours. For more job seeking tips for the retail industry, visit the Excel Recruitment Blog.